Home > World Days - October > RIGHT TO INFORMATION - Kind of Happy Birthday, RTI! 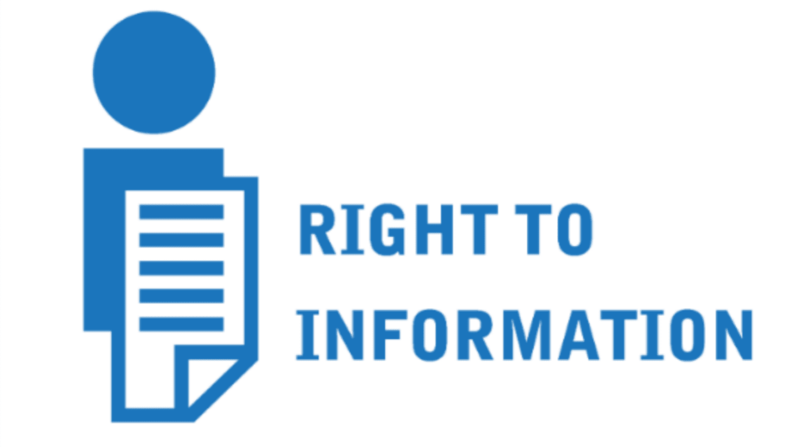 RIGHT TO INFORMATION - Kind of Happy Birthday, RTI! Happy Birthday, RTI. As you turn 12 today (October 13, 2017) , I want to tell a little story about the time when you were just a lofty idea. You came into our lives as a common man's right -a legal promise that he had a right to know everything from the government within a month. As India welcomed you into the world, success stories about ration cards being given, passports expedited after delays, long-forgotten roads built after an application's nudge, and errant officials penalised for wrongdoing the toddler years were wonderful, and whizzed past. As we look at the growing-up years, there is enough and more to worry about. Governments have maintained a tight grip on information that should ideally be disclosed in annual reports. Over the years, the workload of providing information has only increased making the public information officers delay or detest the job. Sample this. A request for information filed in the Prime Minister's Office in February on Twitter handles and social media activity has elicited no information from the public information officer. It has been eight months. In an ideal world, even the entire process of appealing to the Information Commission (IC) against this delay would have been wrapped up, and responsibility fixed. A similar Right to Information request to the home ministry had the official invoking `national security' while denying information about the private firms or consultants hired to handle social media accounts. In the name of transparency , this is supposed to be on the website of the ministries. It is a different matter that the exercise in all other ministries had some very proactive officers offering file inspection and even contracts signed with the private firms. Since the government departments across India do not believe in proacti ve disclosure or giving commonly asked-for information on their websites, numerous applications are filed. Still perpetuating the age-old bureaucratic hold on information as simple as a former employee's retirement benefits or an annual confidential report, government departments refuse information, making the applicant land up at ICs. The queue grows longer at commissions, as there is an increasing reluctance to penalise errant government officers. An independent study conducted by Research, Assessment and Analysis Group (RaaG) and Satark Nagrik Sangathan, analysed orders passed by ICs across India. It found that 59% of orders recorded violations in denial of information and should have triggered the process of penalty. However, in only 24% of the cases was a show-cause notice issued. Penalties were imposed in a mere 1.3% of cases. Loss to the exchequer due to this would be running in crores. At ICs, the wait can range from anywhere between six months and two years. In Assam, the wait at the IC before new appeals are heard would be 30 years, followed by West Bengal (11years, three months) and Kerala (seven years, four months). This wait is not only a function of increasing applications being filed at the ICs, but also the vacancies for Information Commissioners that the government refuses to fill. On September 2, 2016, the departme nt of personnel and training (DoPT) advertised for two posts of Information Commissioners at the Central Information Commission (CIC). About 225 applications were received. A year on, three Information Commissioners have retired and a fourth set to retire in January 2018, but no appointment has been made. This is when the pendency at the CIC is close to 30,000 cases and the commission is trying to clear the backlog of 2015. The DoPT is considering new rules, which would mean an application would abate on the death of an applicant.At a time when whistle-blowers and journalists are coming under attack, even this suggestion raises eyebrows. The annual convention in October, where the Prime Minister was to set the transparency agenda, has been called off by CIC this year. Even as the world looks at India for RTI lessons, we are trying our best to scuttle whatever is left of our right.What started as a month-long wait for information has ended up in files at the overworked, jam-packed ICs. We could begin with training programmes for officials, updating websites with latest meaningful information, penalising errant officials and keeping a watch on our watchdog ICs. So, RTI, you might not get a birthday bash today from the powers-that-be.But let me assure you, prayers are being said for your long life.